So I've decided to start doing the meme created by Parajunkee & Alison Can Read. Question of the Week: Time for Book Spine Poetry again! Take a picture of your book spines spelling out something epic. 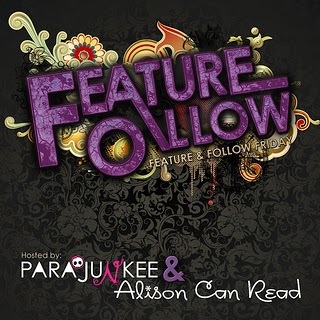 Don't forget to checkout the featured bloggers on Alison Can Read and Parajunkee.com. Great poem, Jordy! Thanks for hopping by my blog and following. I'm following you back. :) Happy Friday! I love how you used City of Glass!! Great poem! Thanks for stopping by and following. Now following via email. Have a great weekend! thank you! :) Hope you have a great weekend as well! Nice poetry. I just borrowed teardrop from the library. I'm looking forward to reading it. thank you! I think that you will like I just finished reading it and I liked it a lot better than her fallen series! :) Happy Reading! Thanks for dropping by Second Run Reviews. Great post. Have a good weekend! Thanks for hopping by my blog! I am new follower via bloglovin'!! Thanks for stopping by! Nice job on the poetry. I'm following via feedly.